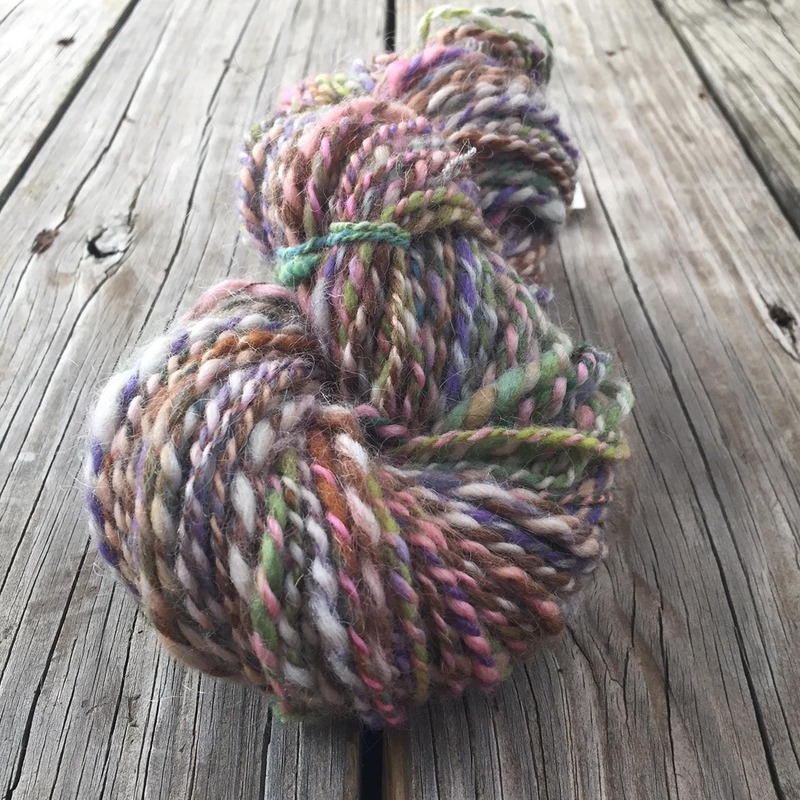 This lovely yarn was handspun by my best friend Teri Plemel (aka FiberTerian) who is a fiber genius. 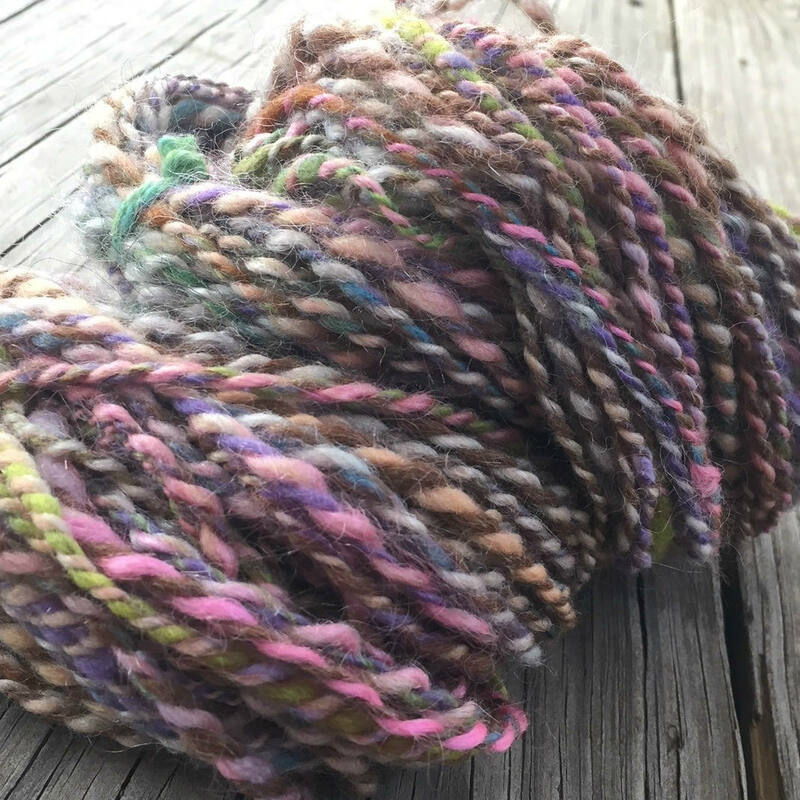 Yarn was created in a smoke-free home. 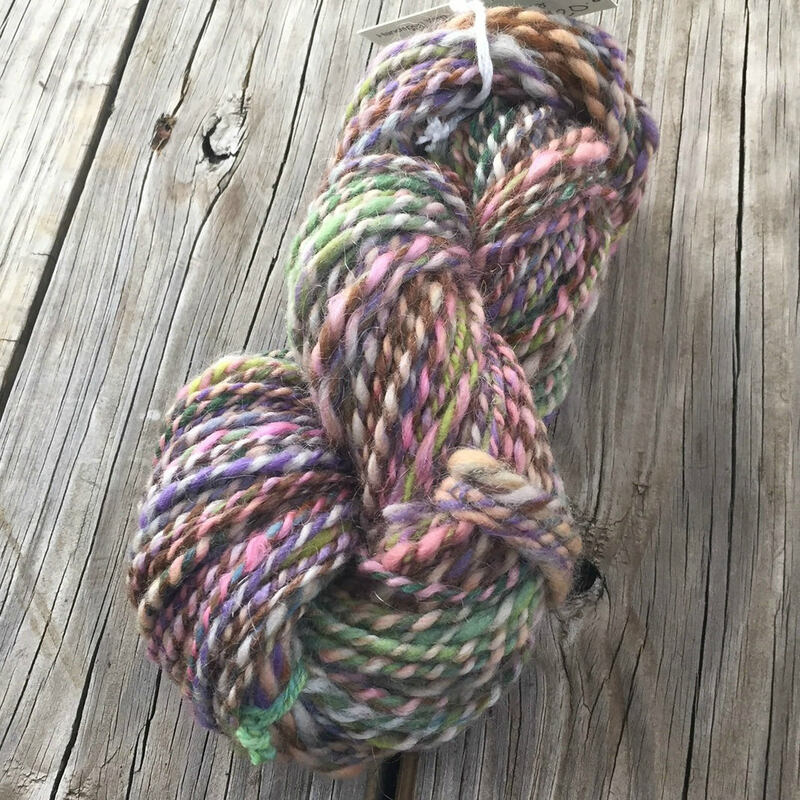 This lovely two ply yarn is soooo lovely! Pastel Rainbows of rose pink, tangerine orange, spring greens, sky blues, lavenders, periwinkles and more! Pastel soft colors and just gorgeous! 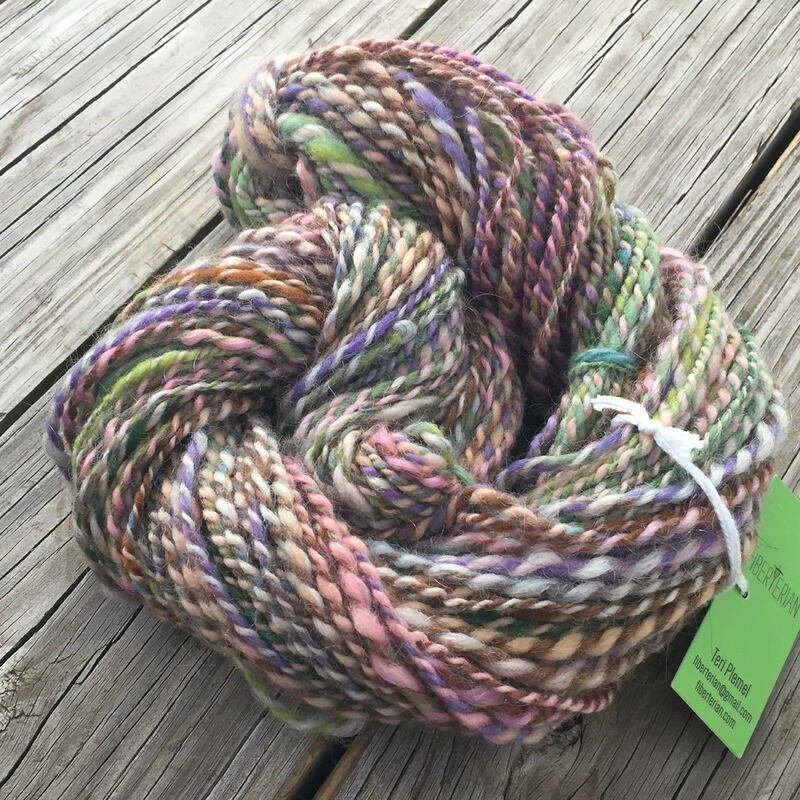 This yarn has a nice squoosh factor and is lightly wooly, and would knit up with lovely drape! There's a bit of thick and thin texture, which would knit/crochet up lovely. 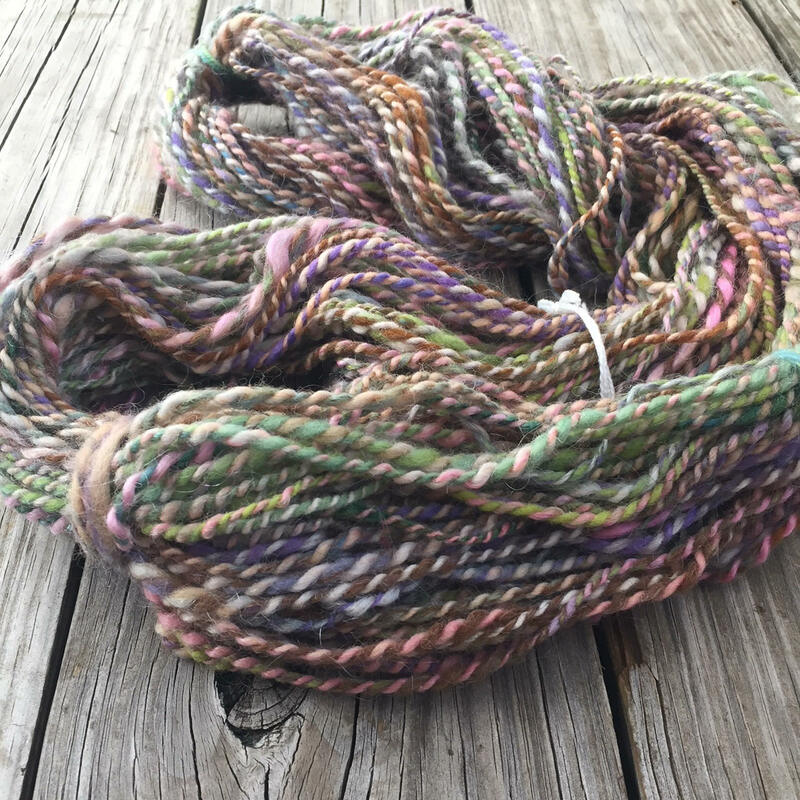 Would make up a lovely scarf, hat or other wooly accessory, or combine with bulky commercial yarn as an accent to give the project some WOW!